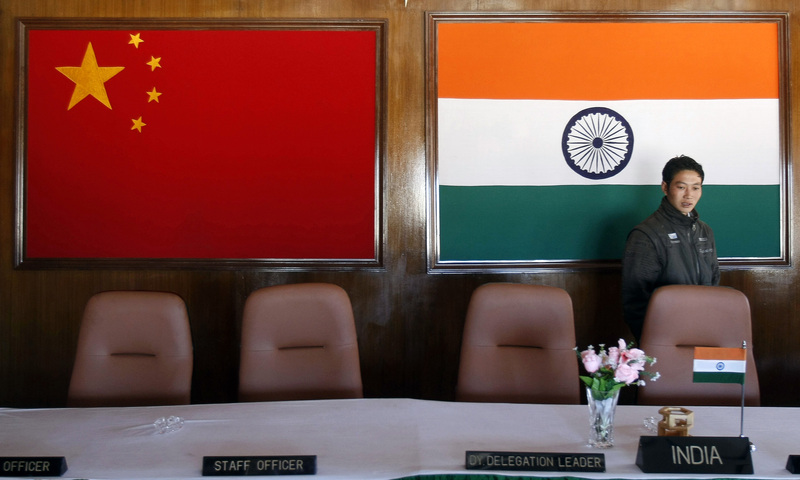 China Is Taking Over India's Tech Space. Should We Worry? India is not unique in the wave of Chinese tech acquisitions, but the absence of any robust debate on the implications is rather curious. For years, India’s relationship with its biggest trading partner, China, has been defined by a one-sided kind of “buy-buy” – Indian hunger for Chinese machinery and equipment. In return, India exported low-grade ores to China. A trade surplus in China’s favour has now crossed $50 billionout of two-way trade of around $85 billion. While the focus of India’s current trade strategy with China is to bridge the gap, chiefly by increasing exports of agricultural commodities hit by the China-US trade war, Beijing’s priorities have shifted elsewhere. Since 2015, around $7 billion in Chinese funding has poured into the Indian tech sector. A dizzying range of acquisitions has now left Chinese companies as major shareholders of some of India’s biggest tech companies. Though Afghan Taliban rule out any negotiations with President Ashraf Ghani-led government, they will be meeting Afghan political leaders in Moscow, the capital of Russia, on Feb 5-6 to discuss the peace process. The High Peace Council (HPC), mandated to pursue peace negotiations with the armed opponents, has also been invited to the Russian capital but its secretary Umer Daudzai told BBC Pashto radio that the HPC may not send representatives as they have not been given enough time to discuss whether or not their participation in the process will be useful. HPC members had attended a conference of regional countries and other stakeholders in Russia in November last year. Taliban political spokesman Suhail Shaheen has confirmed that the Taliban political envoys will participate in the meeting. Speaking to Daily Times from Qatar, where the Taliban have political headquarters, Shaheen described the Moscow meeting as an ‘intra-Afghan dialogue’. 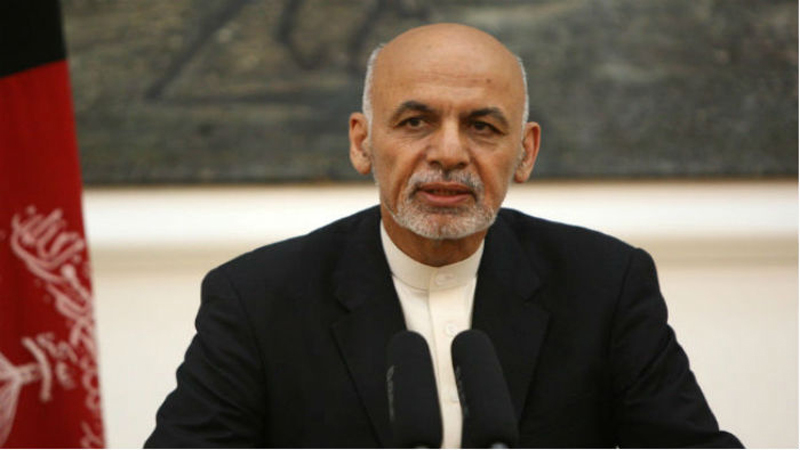 “I think it is intra-Afghan dialogue to see how to cope with current situation and pave the way for sustainable peace after foreign troops’ withdrawal,” he said. Already, hawks in Washington are decrying the prospect that President Trump will withdraw the remaining 14,000 American troops from Afghanistanand are likening it to the pullout in 1973 from Vietnam. But in looking to withdraw from Afghanistan, Trump is bowing to the inevitable. The surprising thing isn’t that Trump is exiting. It’s that he’s taken this long. Just as American technocrats and military might failed to bring democracy to the Mekong Delta, as President Lyndon B. Johnson had promised, so America has been mired in Afghanistan for almost two decades with no signs of success. Afghanistan, like Vietnam, has become an unwinnable war that no amount of American firepower can transform into victory. The media fanfare surrounding the close of the latest round of talks between the US and the Taliban in Qatar belies the fact that the entire process has been shrouded in mystery and there appears to be no sign of any agreement over the contentious issues. The Taliban spokesman said the talks ‘saw progress’, and the US Special Representative for Afghanistan Reconciliation, Zalmay Khalilzad, said they were ‘a moment of opportunity’. But by most accounts, no consensus has been reached on the main sticking points: no ceasefire, no date for the departure of foreign forces and no willingness on the part of the Taliban to speak to the Afghan government. Talks will resume at the end of February, although whether the two sides make any headway toward a lasting peace agreement remains to be seen. It is worth taking a look at why these talks have stirred controversy and are viewed with scepticism among those who have the most to lose, and are absent from the talks — the Afghans. Technological innovation and globalization have opened up seemingly limitless economic opportunity in every corner of the world. Yet the unprecedented pace of change has also created serious challenges, including environmental degradation, economic marginalization and the rise of extremism. In today’s integrated world, these issues need to be addressed by all nations, developed and developing, with all of society’s stakeholders shaping the solutions. Members of the United Nations demonstrated the international community’s resolve to address such challenges by adopting the Sustainable Development Goals (SDGs) in 2015. Despite recent breakthroughs in medicine and public health, the world continues to face various challenges, including reducing maternal and newborn mortality rates; ending the epidemics of AIDS, tuberculosis and malaria; lowering the number of deaths from noncommunicable illnesses like diabetes and cardiac disease; and growing the health care workforce in developing countries. 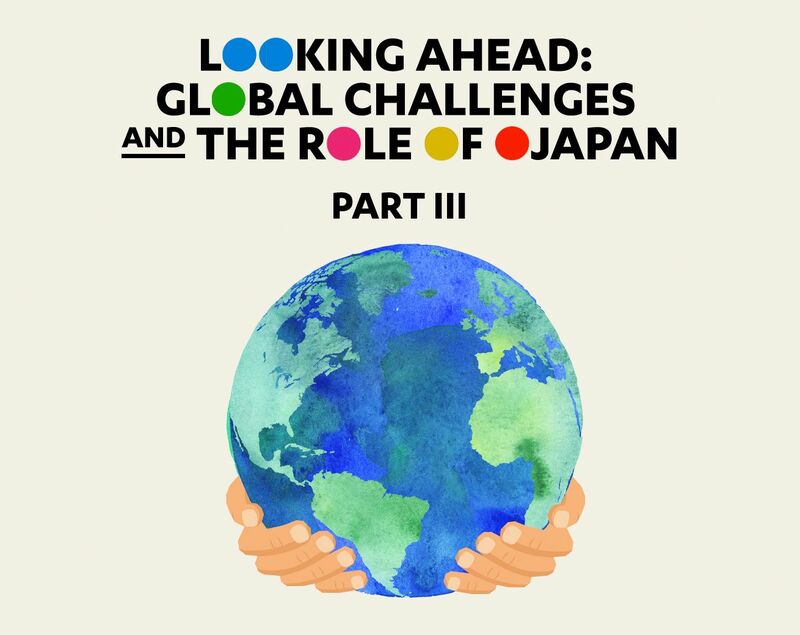 To support these global health goals, Japan is taking full advantage of its experience and knowledge: The country has the longest life expectancy in the world, as well as the longest healthy life expectancy. If, according to an ancient Chinese proverb, “a crisis is an opportunity riding the dangerous wind”, then Huawei is barrelling in on a storm force 12. Where the hurricane takes it, though, may be out of the telecoms giant’s control. A slew of bombshell allegations have raised troubling questions about the telecoms company’s probity and revived long-held concerns about its relationship with China’s intelligence services. The UK, in need of friends as Brexit looms, is struggling to negotiate the fallout. To ignore the mounting brouhaha risks alienating its closest ally, the United States, currently locked in a bitter trade war with China which has become synonymous with Huawei. But the UK needs Chinese technology to keep pace with the 21st century. 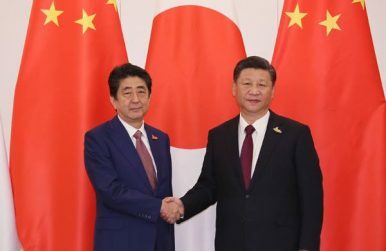 Will the China-Japan Reset Continue in 2019? Both sides are sending positive signals, but the thaw seems increasingly like the calm before the storm. Japanese Prime Minister Shinzo Abe’s visit to China on October 26 broke new ground for Sino-Japanese relations. While the visit could be noted as a success in terms of resetting the previously frozen relationship, under the surface diplomatic relations between China and Japan remain largely unchanged. Abe’s visit to China raised new speculation on where Sino-Japanese relations will be headed in 2019. Despite the obvious warming of Sino-Japanese relations, Abe still hasn’t returned the relationship to its pre-2012 state. Nor returning the relationship to the pre-2012 high likely, given Japan’s recent announcement that it would improve its maritime defense capabilities by transforming its Izumo class into aircraft carriers, and Japan’s decision shutting out Chinese-made devices from government procurement. Sino-Japanese relations are poised for turbulence in 2019. China’s economic growth prospects for 2019 appear to have received a rude setback right at the outset. Data recently released by its National Bureau of Statistics (NBS) for the last quarter of 2018 report that economic growth, at 6.4 percent year-on-year, has reached a 28-year low. With this, growth for 2018 amounts to 6.6 percent, barely scraping by the politically mandated minimum of 6.5 percent. 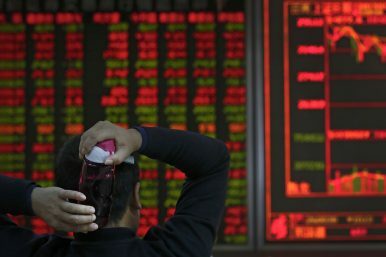 Moreover, scrutiny of the December data and China’s available policy responses reveal troubling portents for its economy in 2019. Retail sales, for instance, made only a feeble recovery in December 2018, rising to 8.2 percent year-on-year, from 8.1 percent in November 2018. More importantly, growth in retail sales has been slowing fairly consistently over the last two years. With final consumption expenditure said to have accounted for 76.2 percent of China’s GDP growth in 2018, the effects of a protracted slowdown in retail sales in 2019 would discernibly stifle economic growth. Meanwhile, demographic pressures are adding to China’s consumption woes — births fell by a sizeable 2 million in 2018, reaching the lowest level since the years of the Great Leap Forward. As trade talks continue with no end in sight, this “new era” of U.S.-China relations features frictions over technology and manufacturing ever more prominently. In particular, “Made in China 2025” continues to command headlines. Since its launch in 2015, this initiative has been the subject of intense concern and recurrent controversy, resulting in a level of prominence that is quite singular for a rather abstruse matter of industrial policy. 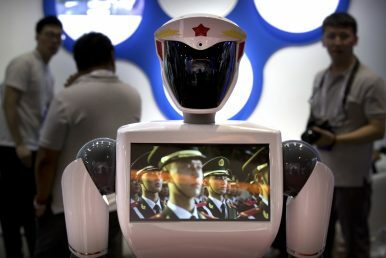 Made in China 2025 is but one key piece of a complex architecture of plans and policies aimed at generating “innovation-driven development,” an agenda that has emerged as a clear priority under Xi Jinping’s leadership. Whether China succeeds in her internal reordering and her external quest for primacy depends to a considerable extent on how the US and China handle their relationship. 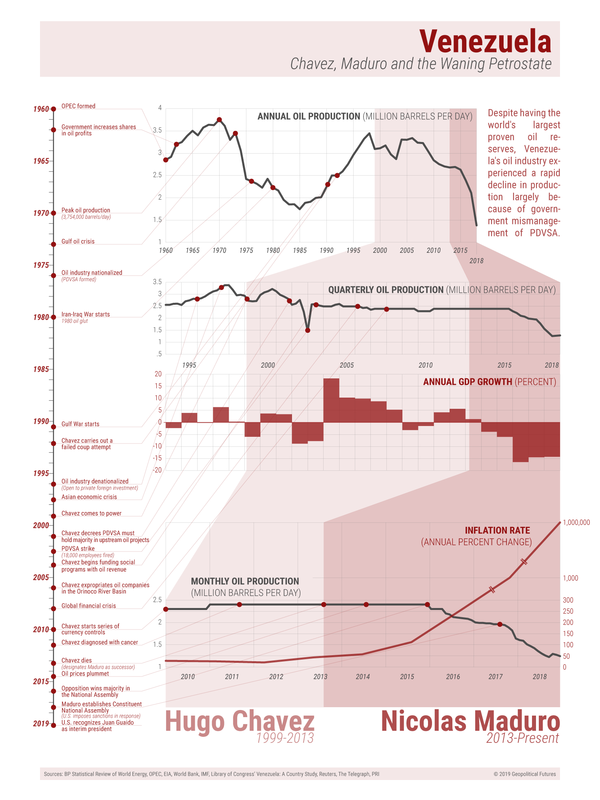 This is the first article in a two-part series on the rise of China and its impact on world order, and India. Read the second part here. We live in an amazing, paradoxical age – an age of contrasts, an age of extremes, and an age of rapid change. Never before in history has such a large proportion of humanity lived longer, healthier, more prosperous or more comfortable lives. And yet, we have probably never had a stronger sense of standing on the brink of a precipice, of possible extinction and of the fragility of human life — by climate change or nuclear war or other violence. Global battle deaths are back up to the highest levels since the Cold War and the 68.5 million displaced persons around the globe in 2017 are at the levels of 1945-46 (after World War II and during the Chinese civil war). With U.S. President Donald Trump hinting that there is a "good chance" of a trade deal with China, two days of negotiations involving senior officials ended on a high note this week. China's chief negotiator Liu He made a surprise offer to purchase 5 million tons of U.S soybeans when he met with Trump in the White House on Jan. 31. Meanwhile, officials from the U.S. Chamber of Commerce said progress had been made on greater market access and on enforcement of intellectual property rights — two core U.S. concerns. But it wasn't revealed how much overall progress was made or what divisions remain. The details on some core issues — such as China's forced technology transfer and subsidies to strategic industries — were far from clear. Ahead of the talks, China reportedly offered to increase U.S. imports from $155 billion in 2018 to $200 billion in 2019 and to even eliminate its trade surplus with the United States by 2024. 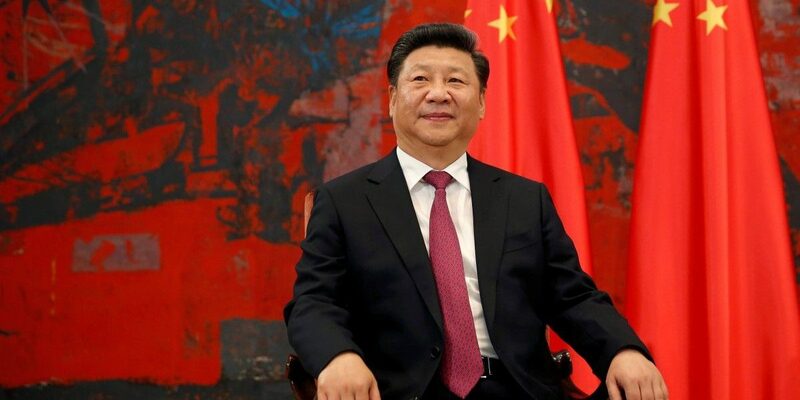 And China has taken steps to fast-track domestic legislation that would prohibit forced transfers of technology and open the country's markets more, though implementation will take years and thus fall short of U.S. demands in the short term. 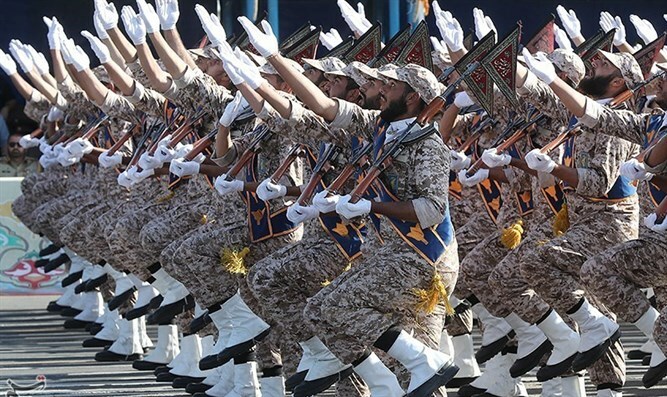 The threat Iran poses to Israel is well known and is taken seriously by everyone in the Jewish state, first and foremost by Prime Minister Binyamin Netanyahu. This threat is not limited to the so-called Iranian proxies, the terrorist organizations in Lebanon, Gaza and the territories under the control of the Palestinian Authority, or the Iranian activities in Syria, but also appears in other areas. First, there is the Iranian nuclear threat which allegedly has decreased since the so-called JCPOA, the nuclear agreement between Iran and six world powers, was negotiated. Officially, Iran fulfills its obligations under the agreement which was implemented in the first months of 2016. The latest report from the International Atomic Energy Agency (IAEA) indicates the Islamic Republic adheres to the terms of the agreement. During a December 28 press conference with his Jordanian counterpart, Russian Foreign Minister Sergey Lavrov assertedthat Russia’s contributions to Syrian reconstruction were helping to improve the humanitarian crisis and urged Western countries to invest in the reconstruction. Lavrov’s comments revealed Russia’s growing focus on Syria’s economic reconstruction, even as civil war continues to simmer in Idlib and prospects of a short-term peace settlement appear remote. Russia’s rapidly growing interest in the Syrian reconstruction process highlights two main strategic objectives. First, Russia wants to reconnect Syria to global financial markets so Bashar al-Assad can consolidate his hold on power and begin accruing the $400 billion he believes is necessary for rebuilding Syria. Second, Russia wants to benefit from its gradual positioning as the main actor in the Syrian reconstruction process, as a foreign capital influx into the Syrian economy could provide vital hard currency for Russian businesses. These aspirations will likely drive Russia’s policy towards the Syrian reconstruction process for the foreseeable future, even though Russia’s limited material resources and desire to avoid tensions with Iran could undermine the success of this agenda. Do Americans agree about anything anymore? Well, yes. Apart from a handful of unrepentant neoconservatives and reflexive warmongers (including, alas, the present national security advisor), I think there’s a growing consensus that the United States is overextended. We’re still fighting at least two wars (while conducting a whole bunch of more-or-less clandestine operations against various extremists in various places), and we are formally committed by treaty to defending more countries than at any time in U.S. history. There is little or no consensus on how to deal with this situation, but even those who think U.S. global leadership is the only thing preserving the world from barbarism might concede the need for a bit of readjustment these days. Which raises an interesting question: How did this happen? How do states get overextended? If the world is highly competitive and it’s important to set priorities and focus on the big challenges, then why would any country take on commitments that were of secondary importance or beyond its means? And if it did, why would it hang onto them after it was clear that the costs far outweighed the benefits? The term “conventional warfare” has been outdated since at least the late 1960s, and today, some of the U.S. military’s biggest potential adversaries are insurgencies without a discernible front line. With this reality in mind, the U.S. Navy has been conducting a major studythat’s expected to lead to a radical shift in the education of its personnel. The Navy will almost certainly recommend doing far more to emphasize critical thinking skills in its training and development programs. For many observers, the Navy’s educational reforms are long overdue. Experts have been raising concerns about the state of critical thinking in the nation’s armed forces since the early 2000s, and it has been 100 years since the Navy even performed a comprehensive review of its education system. This past summer, President Trump eliminated certain Obama-era rules against cyberwarfare, reinvesting military officials with the power to carry out cyber attacks without the need for interagency discussions first. It would appear that the Trump administration's goal is to ensure that the U.S. is on equal footing with other world powers. On the surface, this sort of eye-for-an-eye kind of justice may seem reassuring until you consider the realities. The potential impact of this type of policy change greatly increases the odds of a significant increase in cyber attacks and counterattacks. This prospect should concern all risk management professionals across the globe, given the potentially devastating impact of such an escalation. A recent Wall Street Journal article regarding Russian hackers reaching U.S. utility control rooms illustrates the seriousness of this concern. The article reveals a national infrastructure replete with vulnerabilities. Data Breaches Could Cause Users to Opt Out of Sharing Personal Data. Then What? The New York Times reported recently that Facebook gave tech giants like Amazon and Microsoft greater access to users' personal data than it had previously acknowledged, and although Facebook issued a denial the episode could again send shivers down the spines of nervous privacy-conscious social media users. As tech-based systems have become all but indispensable, many institutions might assume user data will be reliable, meaningful and, most of all, plentiful. But what if this data became unreliable, meaningless or even scarce? Seemingly lost in the debates over data ownership and privacy is the possibility that data availability could dwindle, rather than continuing to grow—and change the booming business of data aggregation as we know it. Both China and Russia now have the capabilities to launch cyberattacks that could at least temporarily disrupt US critical infrastructure such as gas pipelines or power networks, according to intelligence officials. The Worldwide Threat Assessment of the US Intelligence Community is a document published each year, which itemises the significant threats to the US and its allies. It said that currently China and Russia pose the greatest espionage and cyberattack threats to the US but also warned that other adversaries and strategic competitors will increasingly build and integrate cyber espionage, attack, and influence capabilities into their efforts to influence US policies. It warned that rivals to the US have experimented with growing capabilities to "shape and alter the information and systems" that the country relies on. The future landscape of warfare and cybersecurity could be fundamentally changed by 5G. But experts say 5G is more susceptible to hacking than previous networks, at a time of rising security concerns and US-China tensions on various interconnected fronts that include trade, influence in the Asia-Pacific region and technological rivalry. How will defence be digitised in 2019? 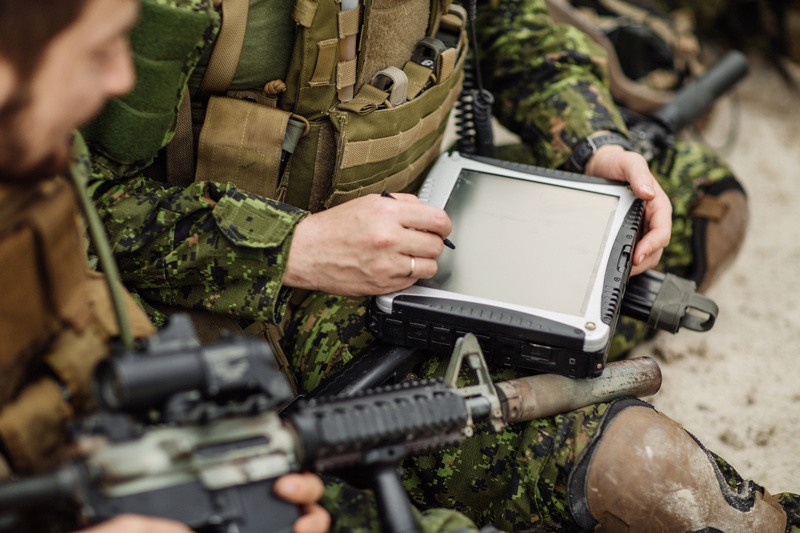 For the military and commercial organisations in the defence sector, this means getting ahead of the digital curve and putting in place solutions that can act as a strategic enabler to manage this shift. Evan Butler-Jones, Director, Defence Product Line, Aerospace & Defence Business Unit at IFS, looks through the lens and identifies the three key areas where digital will impact the physical world in 2019 and beyond. There is now an increased focus on the development and adoption of autonomous underwater vehicles (AUV) despite being less mature than autonomous aerial vehicle (AAV) technology. These are now being deployed in a number of military applications across intelligence, surveillance, inspection, underwater repair maintenance, navigation and communication. In conjunction with the four key aspects noted above, analysis of the battle for Mosul further reveals five observations that should guide the operational approach to the next urban fight: (1) it is impossible to isolate a modern city, (2) difficulty increases with depth and duration, (3) attackers lose the initiative once they enter the city, (4) dense urban terrain enhances sustainment, and (5) operational reach is proportional to population support. Warfighters depend on signaleers across the spectrum of operations. A broad misconception is that the U.S. Army Signal Corps is a single-function organization, but its responsibilities have grown over time, and it is now a vital element of communications support that applies technology to ensure mission success. As much as the Army performs maneuver operations on land, it also performs signal offensive, defensive and stability operations in the cyber domain. The Army’s Signal officers are expected to perform duties well beyond communications support. Signal organizations are the nexus of cyber and electronic warfare activities. Today, this work primarily involves managing and manipulating the electromagnetic spectrum. Separating information from raw data or messages from radiation interference is the discriminator between success and failure for signal operations. However, over several generations, signaleers have ignored this goal, creating a gap in the ability to understand and articulate the many functions the Signal Corps performs. 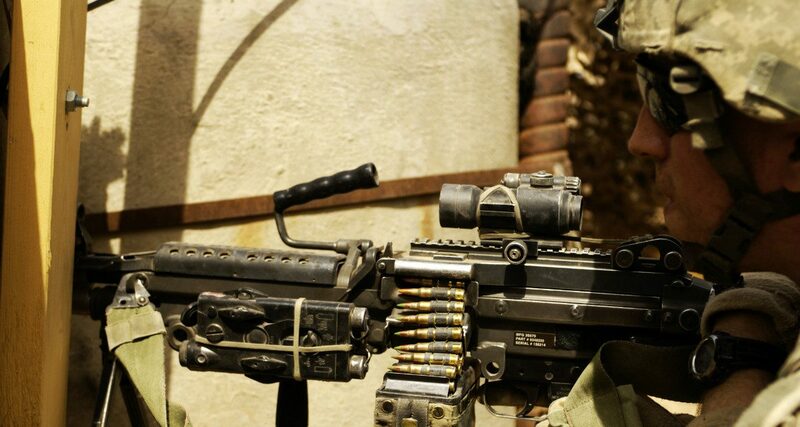 From March 23 to May 12, 2008, US Army and Iraqi security forces engaged in an intense urban battle in and around Baghdad’s Shiite neighborhood of Sadr City. The battle forced units that had been mainly focused on counterinsurgency operations to convert overnight into combined-arms teams of armor and mechanized infantry and engage a large enemy element in a high-intensity fight in a city containing around two million noncombatants. The adaptions these units made and the results of this short but pivotal battle provide important lessons for future combat in dense urban environments. Sadr City is a dense Shiite area in eastern Baghdad whose boundaries with adjacent Sunni-dominated neighborhoods represent sectarian fault lines. At the time of the battle, Sadr City contained an estimated population of between 1.6 to 2.4 million residents. Purpose built in 1958 to house a large population of migrants moving to Baghdad to look for work, it maintained near slum-like conditions from the time of its construction. It stands out on a map of Baghdad as a solid, compact square of streets arranged in a grid pattern. The neighborhood is made up of narrow streets and alleyways, spider webs of power lines, and mostly three-story or shorter buildings that range from simple cinder blocks to reinforced cement construction.